The full range of headsets for dictation and transcription. Headsets build for comfort, design and usability. Headsets are important tools to ensure smooth reporting. They can be used for dictating reports and typing dictations for transcription. Pathologists, for example, require their hands to carry out their work – headsets are vital to allow analysis of materials whilst creating reports. When working with digital dictation, secretaries can listen to the dictation and make any necessary document changes. We work with include Philips, Plantronics and Jabra for headsets. We find these devices provide the best quality in recognition and transcription. Below are our recommended headsets. The Philips LFH 5220 provides you with all the necessary USB hardware to be used in conjunction with your G2 Speech software. Philips ACC2310 USB footpedal with play,rewind & fast forward functions. Philips LFH9034 USB headset adapter. Whether at home or in the office working at a PC, the Savi® 400 Series offers high sound quality, up to 90 meters wireless range and the choice of four wearing styles. The Savi 440 is the lightest DECT headset on the market today, and has an in-use replaceable battery for unlimited talk time and three different wearing styles. Noise cancelling microphone reduces background noise interruptions. 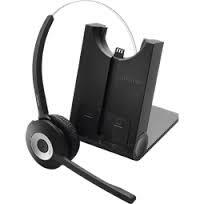 The Jabra Pro 935 is a professional office headset for PC and smartphone. This headset can be connected via USB and Bluetooth. 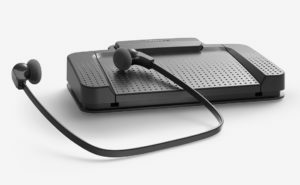 The headset offers up to 100 meters range from the base to the headset and 12 hours of talk time and 7 days standby time. Noise Canceling – Enhances call clarity by eliminating background noise from the office. Mute gives you the option to mute/unmute the microphone directly on the device.